August 5, 2015, my dad went home to be with Jesus. One year ago this evening, while I was on the phone with my brother Matt, Dad entered into his rest, his reward; the presence of God. I have written many posts about my dad through the years. Most often on his birthday. He was a man’s man. 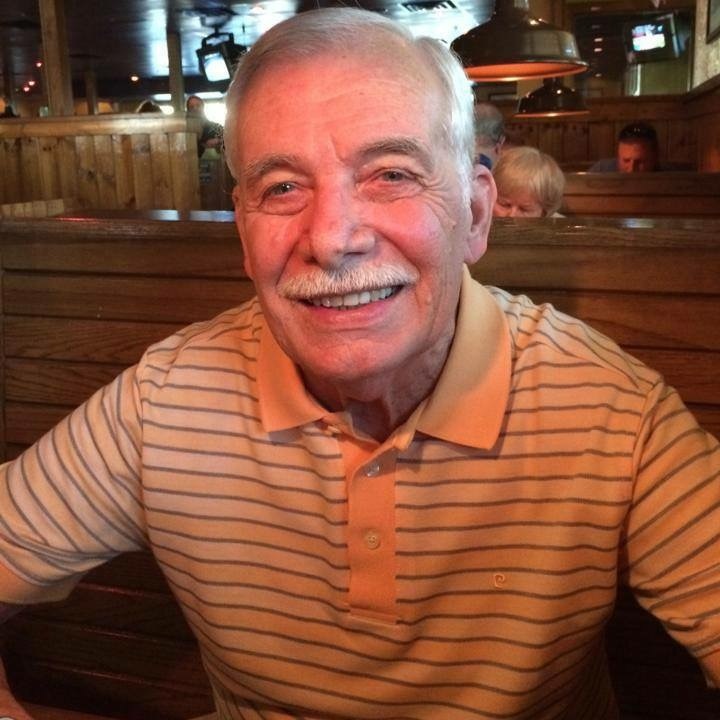 Born October 30, 1935, Dad grew up during the Great Depression. He began working as a boy, then lied about his age in order to join the Marines in the 1950s. After he was discharged, he worked for Pacific Gas and Electric, the utility company in California. But his heart wasn’t made for this profession. He was made to do more. He was designed to serve. He entered the police academy in order to become a member of the San Francisco police force. Dad served honorably for over two decades, earning many medals of honor, including multiple gold medals, which are most often given to the widows of fallen officers . Starting as a uniformed cop on the beat, to the juvenile division, narcotics, and ultimately as member of what was then a brand new division, the bomb squad. This was not long after a domestic terror organization, the Weather Underground, bombed a SFPD station in 1970. I remember him telling me the story of how he ran up several flights of stairs to submit his request to be part of this elite new squad. As he arrived, out of panting heavily from his sprint, they looked at him as if he had three heads. That was my dad. The greater the danger, the greater the opportunity to serve the greater number of people. He was always willing to put himself in harm’s way in order to protect others. In 1982, at the age of 47, Dad led his family by example in giving his heart to Jesus and asking Him to be Lord of his life. He was not a man who was desperate. You’ve heard the saying, “there are no atheists in foxholes.” That wasn’t my dad. He wasn’t in crisis. In fact, he wasn’t even seeking God. In a personal encounter on a Saturday afternoon in our garage Dad had turned into a wood shop, God spoke to my dad’s heart. Dad was flipping stations on his radio several times throughout the course of the day, and repeatedly landed on a Christian station that featured recorded sermons from a variety of pastors. As the day went on, he’d listen for a few minutes here and there. Each time, he heard a brief message from different speakers. The only consistency in these messages was they were each speaking on salvation and our need to ask Jesus into our hearts. After several hours and various speakers, Dad turned off his power saw out of fear that his trembling hands would cause an accident. He walked out of the garage, through the kitchen past my mom, and proceeded to their bedroom. There, he closed the door, fell on his knees, and asked Jesus to come into his heart and change him. My dad became a sold out man of God. Some years later, Dad retired from the police department so he could give himself to whatever God had for him in ministry. Before he did, Dad had become part of a prison ministry where he spoke intimately with hardened criminals in San Quentin. Not a ministry and venue you’d expect to see a cop. But that’s what God said, and that’s what Dad did. I’m not trying to write a complete biography, just give you a thumbnail sketch of the kind of man my Dad was. He was a Marine and a cop. But what defined him and what was most precious to him was being a servant of Christ. Long before my Dad submitted his life to the Lord, God had been preparing my father for ministry by giving him a heart for service. Willing to go to the dark places in order to bring the light of Jesus. Whether it was being in a locked prison cell with a convicted felon, or selling all they had to move to Costa Rica in obedience and service to God so that he and my mom could minister to people. My dad was a servant. I miss him every day, but his influence in my life lives on today. His impact in the lives of hundreds, even thousands of people throughout his life lives on. God used him beautifully and powerfully. As I am two months away from being a husband and step father, I pray I can be half the influence in the lives of my family as he was to his. His master replied, ‘Well done, good and faithful servant! You have been faithful with a few things; I will put you in charge of many things. Come and share your master’s happiness! This week has been like no other in my life. What a ride! 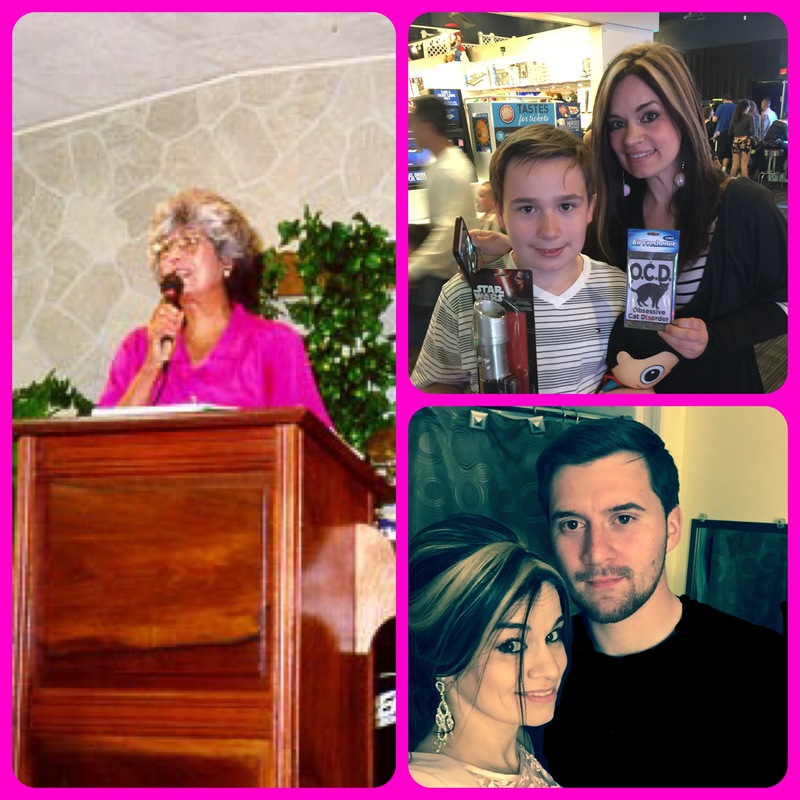 To cap it off, I have the privilege to honor one of the two best moms who ever mom’d. Two and a half years ago, I wrote a post telling the story of my mom, and my now-fiancee. My mom’s name was Sarah Jane, and the woman God has ordained to be my life’s partner is Sarah-Jane. The similarities only start there. I was blessed with an amazing mother. By virtue of her example, I know an incredible mother when I see one. Sarah-Jane has two incredible boys. I am so fortunate to soon be the stepfather to these young men who love each other and their mom in such a special way. I was a knucklehead when I was a kid. Though I had such an incredible mother who sacrificed so much for me, I didn’t appreciate her nearly as much as she deserved. Sarah-Jane’s boys are so far ahead of me in that department at the stages of life they are in. I couldn’t be more proud of Sarah-Jane for the mom, and the woman she is. She is so loved and respected by so many people, and her sons know they were blessed by God with the woman he chose to raise them. My mom has been gone since 2009, but her influence is alive in my heart to this day, and I know her seal-of-approval is etched in Sarah-Jane. They never met in this life, but the two women who have loved me most will one day meet in eternity. Though I was slow in appreciating my mother, I was able to learn how important it is to recognize the special bond between moms and their kids. And because of that, I know just how wonderful a mom and woman I have in my life today. This week is the definition of bittersweet for me. Last Sunday would have been my mom’s 80th birthday, and today will be the first October 30th since 1935 without my dad. The title of this post is not a typo. The word remember means bringing back that which is broken. Imagine one of your arms being broken from your body. The act of restoring it to your shoulder is re-membering. For several years in the 1990s, my parents served on the board of directors of an orphanage in Mexico. I had the privilege of visiting and ministering in this orphanage. It was an amazing experience I’ll never forget. Being with these children, with whom I could barely communicate because of the language barrier, touched my heart in a way I never knew possible. We laughed, played and even cried together. This was my first experience in such a ministry, and it never would have happened were it not for my parents. This past Sunday, the 80th anniversary of my mom’s birth, we had a special missionary guest. His ministry? On the day that held a special place in my heart as I remembered my mom, God sent a messenger who re-animated a chamber in my heart for those with no parents or blood relatives. Today, as I think of my dad, and for the first time, being unable to see or even call him to wish him a special day and tell him I love him, I re-member his unwavering integrity and character. An imperfect man, yes, but one who wouldn’t allow himself to knowingly do the wrong thing whether people would know or not. HIs example has served as an inspiration to me throughout my adult life. Re-membering their love and devotion to one another. Re-membering their steadfast pursuit and love of God and people. Re-membering the laughter. Re-membering the tears. My heart was broken on March 20, 2009, and again on August 5, 2015. But as I re-member the parents God blessed me with, and think of those who have no parents, my heart is restored and filled with joy, humility, and resolve. A resolve to make a difference in lives, just as my parents did. By any means necessary. Even if it seems crazy. Even if it seems impossible. Even if it seems too late. Even if it seems too expensive. God showed me through my parents that all He needs is a willing heart, and lives will be changed. It must start with mine. Thank you Mom and Dad. I miss you. But you are part of me as I re-member you. May my life be a continuation of the spiritual heritage you began. I look forward to seeing you again, but first, there is work to be done here. When we think of people and their secret lives, we automatically think of something scandalous. Jared from Subway and Josh Duggar are currently in the eyes of their respective storms for their secret lives. We are conditioned that secret lives are exclusively for those who are hiding their transgressions so they may protect their public reputation. Then there are people whose secret lives conceal activities which would only magnify what people already think of them. My dad was such a man. I was raised by a man who lived to serve and protect others. He was a former United States Marine. Some years after completing his service for our country, he became a San Francisco police officer. Following his career in law enforcement, he became an ordained minister, and with my mom, served at an orphanage in Mexico, then moved to an impoverished part of Costa Rica ministering to people in great need. I could easily list his accomplishments and achievements so you would be impressed. My dad would be embarrassed by that. I’m very proud of who he was. The secret life he led touched lives everywhere he went. I remember when he gave our family car to a young couple who were in ministry at our church. They had a very young family, and on an associate pastor’s salary, they couldn’t afford to buy a much-needed vehicle to accommodate them. Dad recognized the need, and simply gave ours to them. No fanfare. Had there been Facebook then, you never would have seen it posted, and he would have strongly required that the family who got the car not tell the story in any other way than God provided it for them through by speaking to an anonymous servant. To this day, I am so turned off by people who, by social media or in everyday conversation, speak of themselves and their every thought and activity. We live in a very self-promoting, self-centered generation. 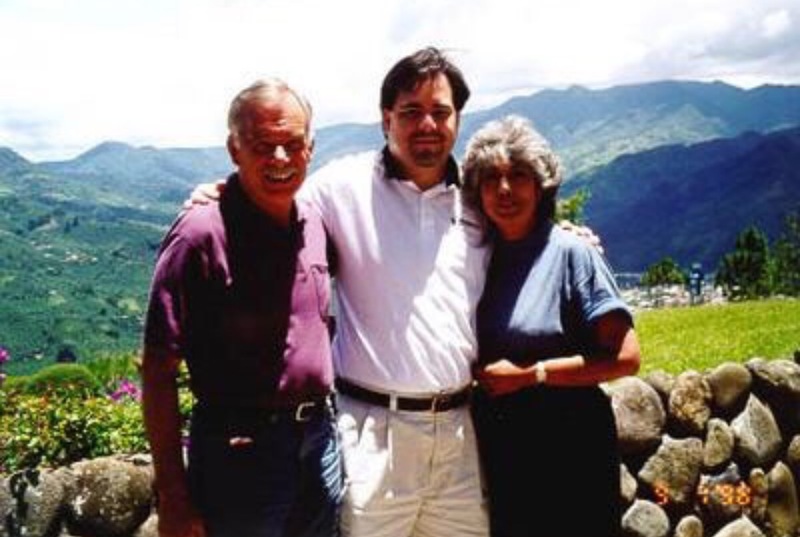 While living and ministering in Costa Rica, my parents were ministering in a church. At some point in the service, the pastor inexplicably called a young, single girl forward to stand before the pulpit. It was then that he publicly spoke of how this young lady was pregnant and in sin. Apparently, this was standard operating procedure in this church. My dad, standing in the front row, moments before he would speak to the congregation, stepped forward and stood next to the young lady. My mom told me of this, because he never would. Later in life, after they moved back to California due to my mom’s illness, my dad did so many other little things to bless people. On Fridays, he would go to Krispy Kreme and buy dozens of doughnuts. He would then drive around to their various doctors’ offices and deliver the treats to those who took such great care of them. He frequently gave boxes of candy to my mom’s hospital nurses. Whether ministering to pastors and missionaries, or to hospital nurses and doctors’ assistants, Dad had a special vision and knew how to show appreciation and serve those who serve. Those who are expected to do extraordinary things, and who were easily overlooked for their service. There are many, many things I can list here, but that would defeat the purpose of honoring the example and character of a great man. These things he did, and the many secrets he took with him as he entered God’s presence on August 5th, were not for his glory, but God’s. What is your secret life? Is it one you want hidden so that people will not be disappointed? So that your reputation won’t be damaged? Or is it a life that is dedicated to honoring and revealing the love of God to those around us? This week, as I had a private moment at my dad’s open casket, I quietly thanked him for his love and example. He showed me so much, yet told me so little. I share these things with you to challenge you, as I have been challenged. How willing am I to do something that would make a great Facebook or Twitter post, that would make people really like and respect me, but do it only out of obedience to God, and only for His glory, not mine? May I truly want only God and His beneficiary to know of my involvement. May my secrets bless those who God ordains, and may they bring glory to Him, and Him alone. Today is March 20th. It is the first day of Spring. 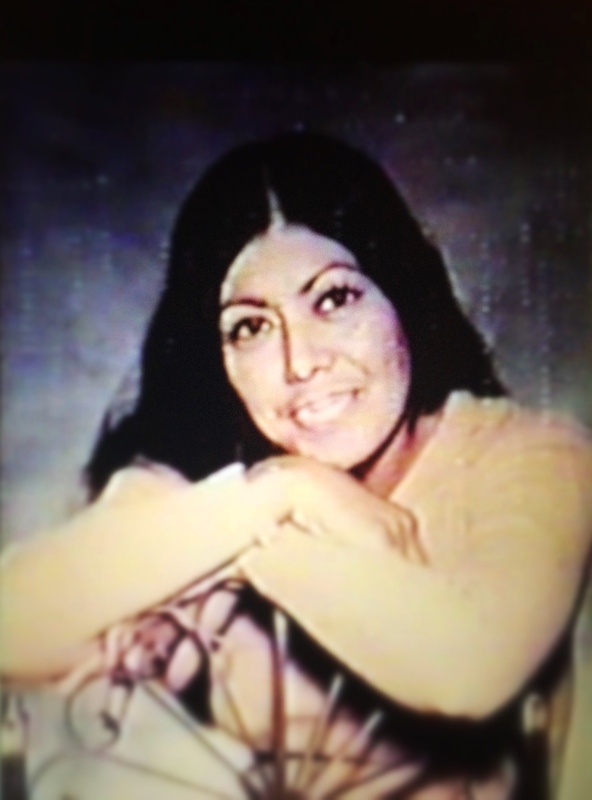 It is also the sixth anniversary of my mom’s passing from earth’s winter, into her eternal Spring, the arms of Jesus. I didn’t realize until about a week ago that her death, and her new life, came on the first day of Spring. Maybe that’s because in California, the first day of Spring doesn’t mean much because the weather is Spring-like for a good month or two by then. But in New England, Spring means you technically survived a long, rugged winter. I say technically because it snowed today for the first time in weeks. Figures. Life is so much like our seasons. Some years, it seems like varying degrees of Spring. Maybe you have a storm here and there. But nothing major. It goes about as quickly as it came. But then there are the long, grueling winters that really grind at your resolve to go outside and deal with all the stuff that has piled up around you. When my mom was diagnosed with stage 4 cancer, and told she only had weeks to live, she was completely at peace. Completely. She was not afraid to die. She knew her destination. She knew that what was ahead was much greater than what she was leaving behind. This winter has been brutal. In every sense of the word. Physically, emotionally, mentally. Even native New Englander say this winter has been one for the record books. And I survived it. It didn’t defeat me. It didn’t send me packing for the relative comfort of California. There have been times, not just during the calendar winter, but the life one, that it seemed giving up was the answer. It can be tempting, when the going gets tough, to pack your things and move to a more comfortable “climate”. But it’s those grinding winters that make Spring more beautiful. More rewarding. Life is challenging. It can be downright brutal. But I have survived it. When the Spring comes, I will bathe in its beauty. I will breathe it in. But can I maintain that level of appreciation when the storm seems to be trying to kill me? My mom sure did. That woman went through the storms of life that would break a lot of people. But anyone who knew her never knew when there was a storm in her life, and never knew the storms she endured earlier in life. Not because she was fake. But because she had a strength, grace, and peace that passes all understanding. And because she was more interested in how others were doing, than herself. She has been gone for 6 years. And yet, she is still teaching and inspiring me to this day. God blessed me, and countless others, with her influence. I fall so drastically short of her example. Of her legacy. But I press onward. May this long, grueling winter make me a stronger, better man. And when that day comes, that first day of “Spring”, when I am face to face with my Lord, may I not leave this world defeated by the winters. But let them strengthen me, give me an appreciation and longing for what lies ahead. There must be nothing in this world that is more significant than pleasing my Father in Heaven. When that’s the case, there can be nothing on this earth that can break me. No matter how hard it tries. February 25th, 1965. The day I was born. 100 years earlier, Abraham Lincoln and the Civil War were in their final days. But this day would be my first. 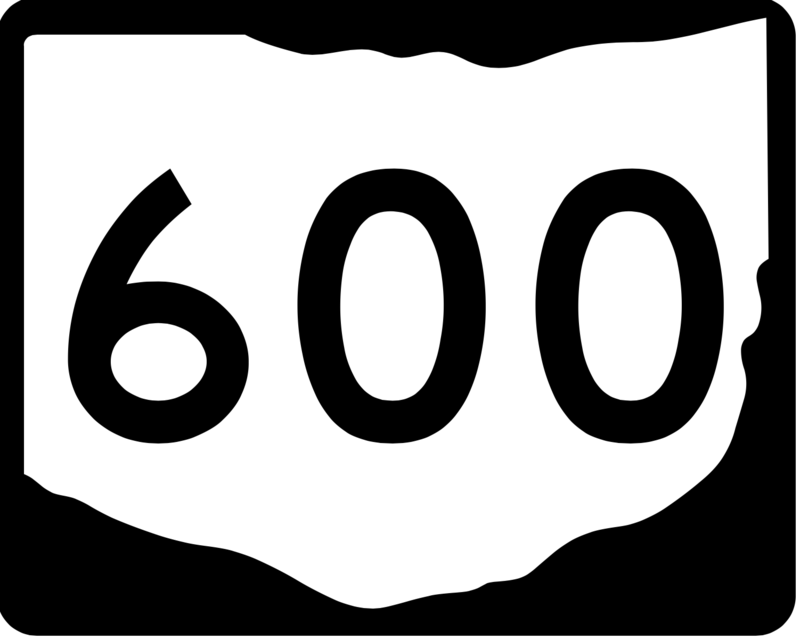 Because 50 sounds like such a big number for an age, I have been jokingly saying I prefer to see it as 600 months. For whatever reason, we measure a baby’s age in months up until they hit 24 of them. 600 months ago, the doctor turned me face down, patted my back firmly, but tenderly, and I coughed up the amniotic fluid that remained in my lungs from my development in the womb. I took my first breath. I was held by my mother for the first time. 480 months ago, I turned 10 years old. Finally, double digits. I could hold up two hands, with all fingers extended, to illustrate just how old I was. For me, this was a signifiant milestone on the road to being a man. 444 months ago, I turned 13. This is a number that, in any other context, has a negative stigma. But when it comes to the aging process, I’m a teenager! Life is going to change with the flip of the calendar! I was in 7th grade. I had my own locker and had to walk from class to class. No more sitting in one room all day, with one teacher. This was like college would be, except mom still had to drive me to school. 408 months ago, I turned 16. Look out, world! That learner’s permit would soon convert to a fully-fledged driver’s license! Possibilities were endless. 382 months and 21 days ago, on April 4, 1983, my life changed forever. This was the day that I willingly and wholeheartedly invited Jesus into my heart. It wasn’t done with any church fanfare. There was no music, no pastors or elders. I was alone in my bedroom. No emotional compulsion. It was the next step for me, and the time was now. 384 months ago, I officially became an adult! As significant a milestone as that is in the growing-up process, an ominous tone was set that I didn’t recognize at the time. Symbolically, perhaps, it was this day that I registered for selective service. The draft. In the event that our country went to war, and it would be necessary to supplement the existing personnel on active duty, I signed my name. Kind of a subtle welcome to the enormity of adulthood. 348 months ago, I was in bible college as I turned 21. Yes, while many of my peers were taking this opportunity to legally consume adult beverages until their bodies forced the contents back from whence they came, I was at the off-campus home of a fellow student, with a group of great friends, as they celebrated with me. Up until this point, significant birthdays came about every 36 months. But when you turn 21, that gap begins to widen. 240 months ago, I exited my 20s. This was not a happy day. My mom was 29 years old when she had me. Now I’m 30. How did this happen so quickly? 204 months ago, I remember lamenting to my mother that I was now 33. This was the age when Jesus died. I saw this as some sort of sign that any hope of significance was now gone. That was when she gently, and wisely reminded me that this was also the same age when Jesus rose from the dead, and He rose to a whole new significance. 120 months ago, I turned 40. FORTY. I remember teasing my parents about being old geezers when they turned 40. Now I am that ancient. This was not a happy day, but again, I was blessed to ring it in with some great friends. 72 months ago, my mom sang Happy Birthday to me for the last time. 23 days later, she went to be with Jesus. 18 months and 17 days ago, God introduced me to the most wonderful woman. She captivated my mind and heart immediately. 51 weeks and 3 days ago, I embarked on a cross country journey to New England. Leaving behind the people and memories the previous 588 months and 5 days held. But moving forward to pursue what lies ahead. Today, I have no idea what specifically lies ahead of me. What I do know is that there will be wonderfully happy days, and there will be gut-wrenchingly difficult ones. The earthly life clocks for many will begin, and others will end. Even though there is no way to disguise my age to make it seem less than it is, I believe that by the mere fact that I am still drawing air into my lungs, there are still things to be done. Moments not to be missed. Lives to touch. Challenges to accept. Tears to cry. Joys to behold. I’m quite certain that the months that have passed outnumber the ones I have yet to live. But whether it is one month, or hundreds, I press on knowing that life is a gift. The closest we get to immortality in this life is in inspiring and blessing others. The people who have come and gone in my 600 months live on in my heart and mind. Their influence lives on in my life because of the things they taught me. The things they gave me. I hope I have been a good steward of those thing by passing them on to others throughout my journey. For today, the journey continues. For all of us. Today is a special day. Not because the Giants won the World Series last night. Ok, it is a special day because of that. But far beyond that, today is my dad’s birthday. 5 days ago was the birthday of my mother. Normally, I have written about each of them, individually, on their birthdays. But this year, I feel compelled that the only fitting way to honor them is to do so collectively, the way they lived their lives. I didn’t need a best friend in my dad as I was growing up. Many fathers and sons have that kind of relationship. I’m sure there’s nothing wrong with that. What I needed was a hero. As far back as I can remember, my dad was always bigger than life. He was a cop in San Francisco dating back to the incredibly volatile days of the late 60s, when being an authority figure was like a buck wearing a bullseye on them during a never-ending hunting season. He never shied away from what most of us would avoid. Those things actually inspired him. What an incredible leader and example he was, and is, for me. Just the other day, he suffered a bit of an accident and was injured. He spent the night in the hospital. He’s home and doing fine now, so we’re thankful it wasn’t what it could have been. As odd as it may seem coming from a man of my age, this served as a painful reminder that the man is, in fact, not bulletproof. He isn’t indestructible. Even so, he endures it all as heroes do. With humility, faith and grace. What God has done in his life over the last 30+ years is amazing. He is an inspiration to me. The partnership he and my mom had was beautiful. She sometimes had to be both mother and father to me because Dad often worked long hours, in addition to a demanding commute. I wanted for nothing as I was growing up. Mom was there for me. Sometimes a little too there, in my opinion at the time. In retrospect, I cherish my memories. As a young adult, I began to grow a bit bitter about always being known as “Ed and Sarah’s son”. I wanted to carve my own name into the world. I didn’t want to live in anyone’s shadow. It finally hit me as I entered my late 20s, that it was truly an honor to be Ed and Sarah’s son. I was blessed beyond comprehension to be raised by these incredible people. They were not what I deserved, and I, certainly, wasn’t what they deserved. But God put us together in His divine providence. At this stage of our lives, and with my mom currently in God’s presence, our family has never been closer. I’m 3,000 miles away, yet, we have a level of intimacy we didn’t have when we all lived within minutes of each other. I’m so thankful for my family. We couldn’t, and wouldn’t be what we are without the shining example of Ed and Sarah Matelli. They have touched so many lives. To have them as parents is a blessing I will never take for granted. Happy Birthday to my heroes. Thank you, Lord, for blessing Matt, Larry, John and me with the love of such amazing people.